Looking for a USED C5D3500? Cold water pressure washers are great for jobs where hot water or steam is not required. Cold water pressure washers are ideal for grounds maintenance, cleaning vehicles, plant facilities, sidewalks and conveyors. Explosion proof cold water pressure washers are excellent for hazardous locations. 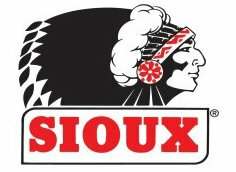 For over 75 years Sioux Corporation has been designing and manufacturing industrial-quality pressure washers, steam cleaners, water heating and chilling systems, and steam generators. Sioux premium equipment is designed and built with reliability, performance, durability and user safety as top priorities. Looking to Purchase a New SIOUX C5D3500?